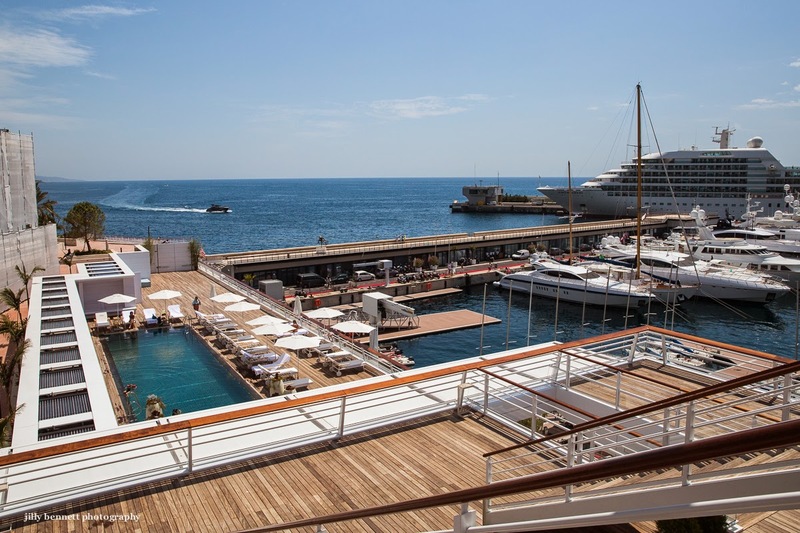 Looking from the top deck of the new Monaco Yacht Club, we see the pool and on the car side of Port Hercule, a cruise ship. The yacht club is so like a cruise ship itself that sometimes it's difficult to remember it isn't! Well, the way the world goes .. in the late 20th century you could take a public and free(!) bath in front of the old harbour, there was even a shower, and less polution as the big cruiseships did not come to Monaco yet.